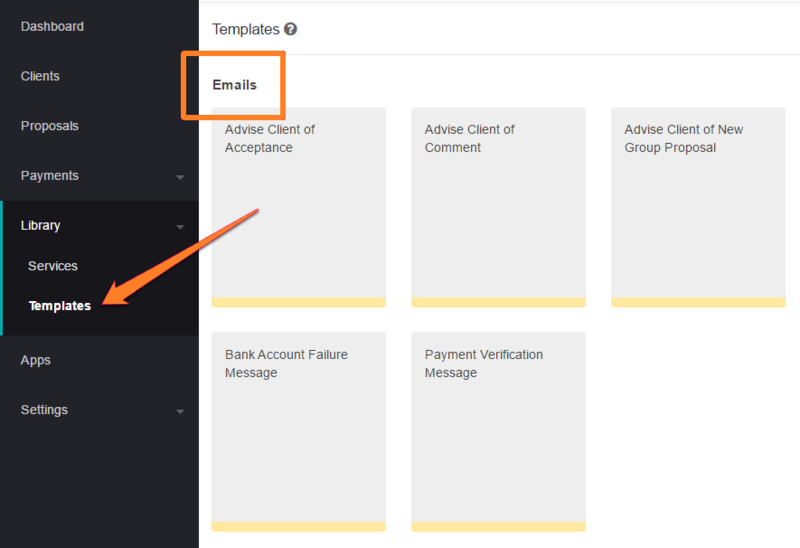 You can customize emails that are sent through Practice Ignition, such as notifications to your clients whenever you send them a proposal and confirmation of an accepted proposal. You can also customize System Templates, which are messages that your clients see throughout the engagement process through Practice Ignition. You can access these templates by going to Library > Templates. 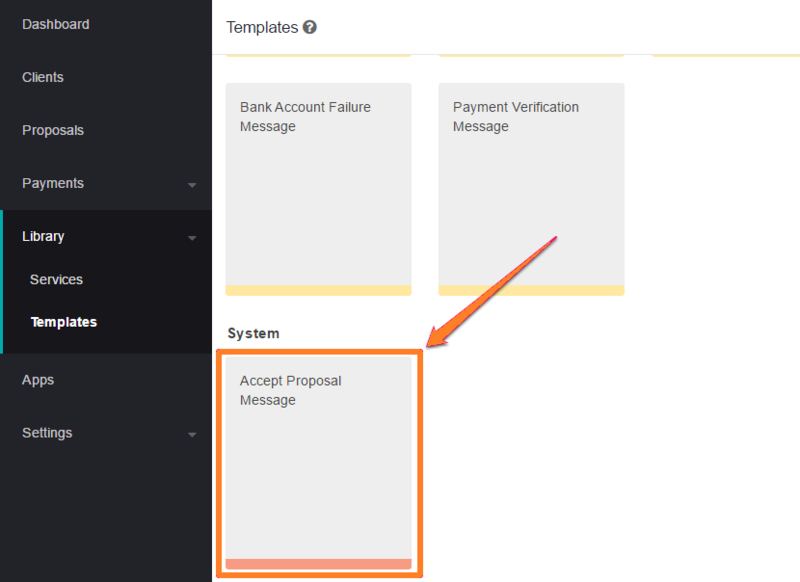 At the moment, the only System Template available is the Accept Proposal Message. 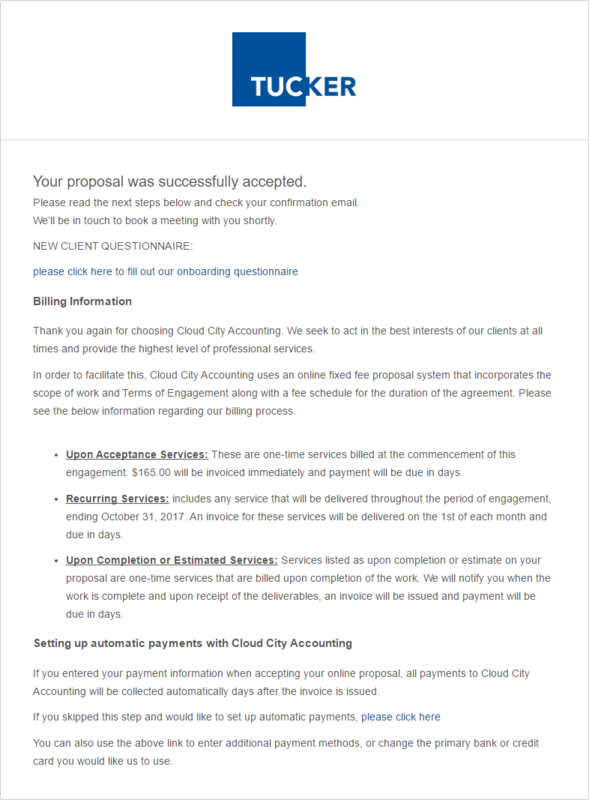 This is the message that your clients will see on their screen as a confirmation message once they click the Accept Proposal button. To edit, click on Accept Proposal Message box under System. You'll be greeted by an editor similar to the engagement letter editor. Input your message and include placeholders when needed. You can customize this template however you want. We recommend including a list of next steps for your client to manage their expectations after they've accepted your proposal. We have a number of different 'placeholders' which can be inserted into the templates to act as a 'mail merge' for inserting important information, such as the client's name and details. Don't forget to click Save Template once you're done! There are 7 different Email Templates that you can customise in PI. To edit the content, click on a template name to open the editor. Note: You will only see the last 2 in the list if you are in the USA. They relate to ACH payments notifications which are required in the USA. These email templates are already pre-filled so you can choose to use the templates as is, or modify it to suit your practice. Placeholders are also available for email templates so that you can make sure that custom information are included in your emails. If you want to revert an email template to its default, just open the template and click the Revert button on the top-right corner, just beside Save Template. This only appears if you made any changes on the template. And that's your email and system templates sorted!